Search hotels and accommodation to find the perfect room for you, compare room prices and save with biggest hotel search engine on the internet. 5 million hotel rooms from over 1000 internet travel providers can be searched in a few seconds. The Hotels Combined hotel search engine is the largest on the internet and searches all the well known and lesser well known internet hotel providers to find and show the very best priced rooms availble for you to book and includes OR Tambo Airport hotels, hotels in Johannesburg and South Africa and any hotel anywhere in the world. 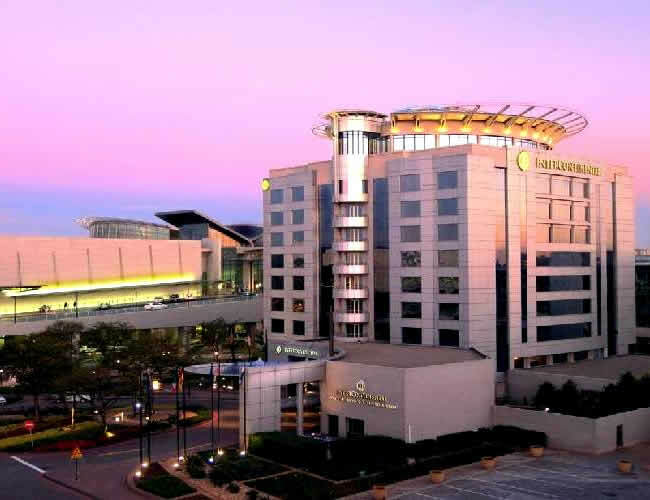 OR Tambo Airport has a wealth of hotels on site and in the vicinity from guest houses to 5 star international class hotels. All can be searched and booked here, but we also feature the 6 hotels located inside the OR Tambo Airport precinct on our airport hotels page. Search, compare and book any hotel in Johannesburg or the rest of South Africa. City, town and country and resort hotels can all be searched here. Book any hotel anywhere in the world. If a hotel is available to book with any hotel internet provider, you can find it here and pick the cheapest on offer.